Sonography has been ranked by US News Best Jobs as one of the best careers in healthcare and a top career choice across all fields. Diagnostic Medical Sonographers enjoy higher than average salaries and can expect to see good career growth, according to the Bureau of Labor Statistics. Although sonography is a popular field, just 17% of sonographers hold a bachelor’s degree. 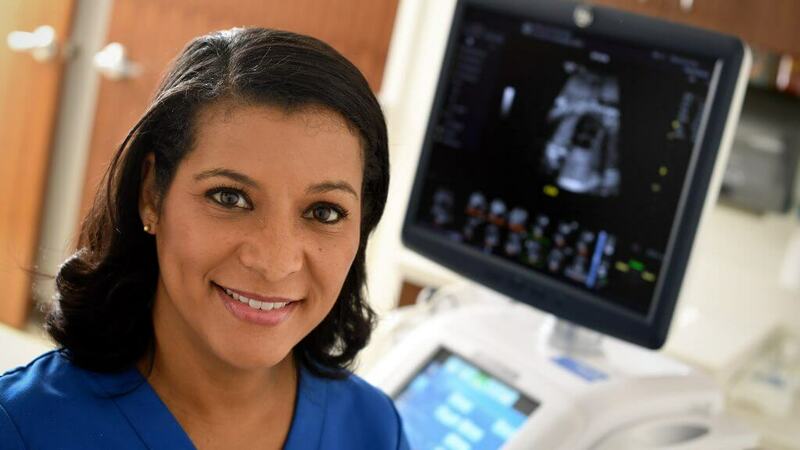 If you are a licensed sonographer who completed a certificate program or who earned an Associate Degree in Sonography or Health Sciences (with a certificate from a CAAHEP-accredited sonography program), earning your bachelor’s in Diagnostic Medical Sonography can give you the competitive edge you need to advance in the field. AHU is among the top 10 institutions granting the highest number of online Bachelor of Science in Diagnostic Medical Sonography degrees. Together with our students, our aim is to raise the standards of ultrasound across this field. AHU is one of a handful of institutions in the U.S. to offer a fully online Bachelor of Science in Diagnostic Medical Sonography. Our program is designed for technologists who are already actively working in sonography and who need to juggle the demands of work, school, and family. With our program, you’ll have 24/7 access to your courses, as well as support available around the clock. The curriculum was developed by our esteemed faculty, in partnership with AdventHealth and continues to evolve, meeting the current trends and needs of sonographic imaging. At AHU, we are committed to the success of our students. We care about them as whole people and aim to shape our program to each student’s unique needs. We offer both a traditional completion plan for the degree, which takes seven trimesters, and a fast-track completion plan, which takes five trimesters. The majority—81%—of our program’s graduates have said that the degree program helped make them more competitive for jobs in the field. In the program, you’ll learn advanced imaging modalities, research methods, and management skills to help you move forward and take on a leadership position and a higher salary in the field of sonography. If you are ready to take the next step in your career, contact AHU Online today and speak with one of our Admissions Coordinators to learn more about the Bachelor of Science in Diagnostic Medical Sonography program.